Access to all 6 theme colors (requires Android 5.x or 6.x). Player controls on the lock screen (version 4.x of the app only). 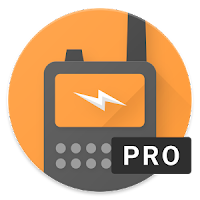 With the "Scanner Radio Pro Locale PlgIn" plug-in is also installed you can have Locale/Tasker launch the app and have one of your Favorites automatically begin playing based on one or more conditions or have the app stop playing. Add Scanner Radio Pro widgets and shortcuts to your home screen for quick access (app cannot be installed on SD card to access them). ...any scanner in the directory has more than 3500 listeners (configurable). ...a scanner within a certain distance of your location has more than a certain number of listeners. 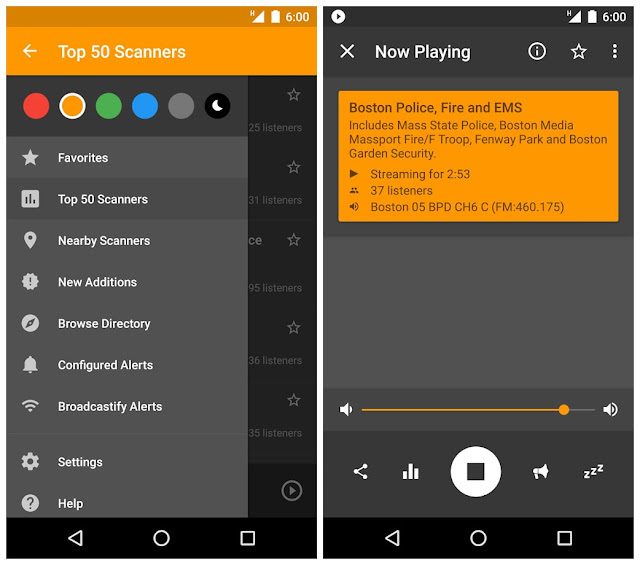 ...a specific scanner has more than a certain number of listeners. ...a Broadcastify alert is posted for one of your favorites. ...a scanner within a certain distance from you is added to the directory.